Creativity is a ability, which is in short supply. It valued by all segments of the society. Worldwide Psychologists use the term creativity, synonymously with imagination, originality, divergent thinking, inventiveness, intuition venturesome ness, exploration, and so on. Creative imagination, fantasy and problem solving ability related to an unorganized thought processes. Doubtless there are aspects of personality, motivation, will (that is qualities other than purely cognitive ones) that are involved in creativeness. To be creative it requires a through knowledge of the subject and doe actions innovatively. Only two percent of the total population are rated as gifted people. The brain must have the fluency, flexibility and originality of thinking to enhance creative ability. 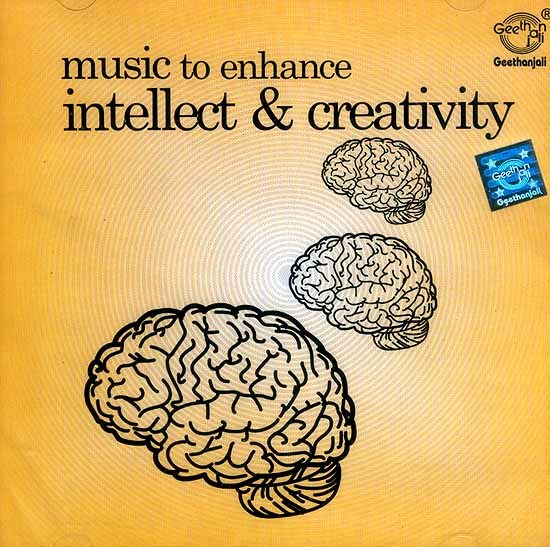 Music is regarded as activity of the brain, which enhances the functions of the cognitive domain. Just give children an opportunity to experience and enjoy creating with music. The classical music with selected ragas and specific emphasis on certain notes enhances the creative curve of mind which shapes the intellectual approach of the individual. Unorganized thought processes gets streamlined. The selected rages presented in this Album helps towards better creative ability. The research has been carried out by Dr. T. Mythily, PhD. a Research scholar, a Cognitive neuro Psychologist, and Music Therapist, A Doctoral Degree holder in Psychology with Classical music and its therapeutic values for the improvement in the behaviour.